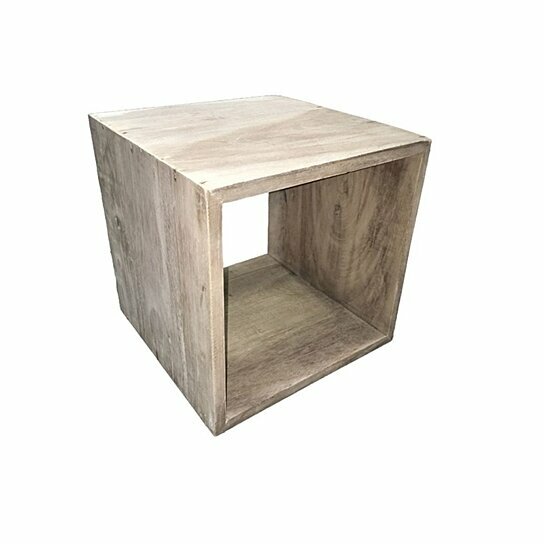 This box like table with a hollow would be essential for your home for multiple purposes. Made from good quality wood, it is sturdy and will stay in top notch condition for years. This square table is in natural brown and has a matte finish. You can set it against a wall and display a vase or figurine on it. You can also fix it on the wall and use it as a shelf to display your small decors.